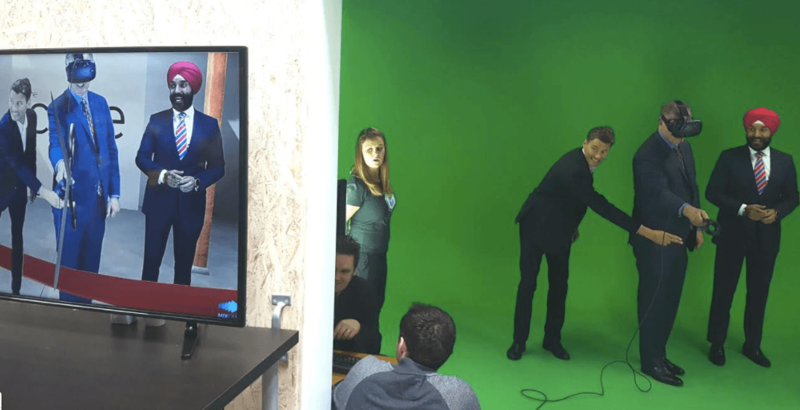 Major players from Vancouver’s tech industry gathered at an office space in the city’s Railtown neighbourhood on Thursday, to celebrate the opening of a new virtual, augmented, and mixed reality (VR, AR, MR) hub, known as the BC Tech Cube. Also known simply as “The Cube,” the collaborative office space is designed to “support the growth of companies in the VR/AR/MR space, while serving as a platform for the community to connect, collaborate and learn from each other,” according to officials behind the project. “By providing entrepreneurs with the tools, support and environment, we’ll be able to supercharge the growth of BC’s burgeoning AR/VR/MR sector and reinforce our reputation as one of the top ecosystems to grow a tech company,” said Bill Tam, CEO of the BC Tech Association (BCTA). But Thursday’s gathering was about more than just the opening of the new space. 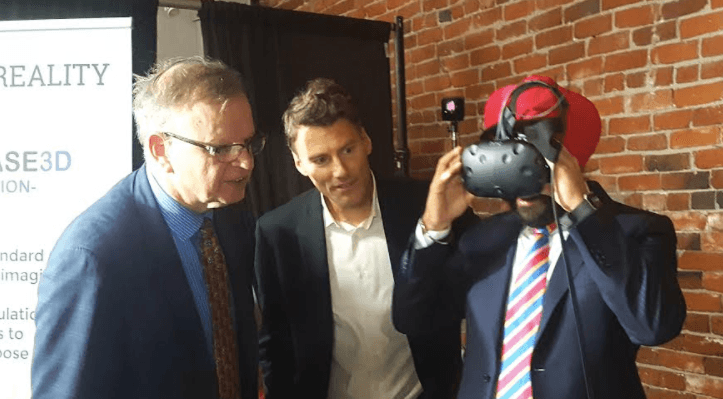 It was also a chance to reveal that the BC-led Canadian Digital Supercluster consortium has been shortlisted to phase two of the application process for funding through the federal government’s Innovation Superclusters Initiative. The consortium is comprised of technology leaders including TELUS, Microsoft Corp., D-Wave, UrtheCast, Finger Food Studios and PHEMI; leading industry players including Teck, TimberWest, LifeLabs and Avcorp; and six post-secondary institutions including BCIT, Emily Carr, SFU, UBC, UNBC and UVic. This past July, the consortium submitted a proposal to Innovation, Science and Economic Development Canada. With more than 50 national applicants, only nine were selected. 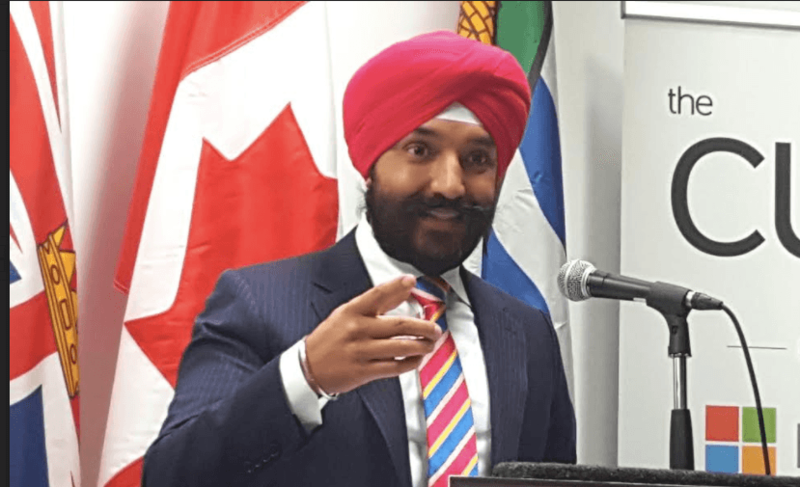 And at the opening on Thursday, Navdeep Bains, the federal minister of innovation, science and economic development announced the shortlisting. Bains said the government put out a call to the “best and brightest” across the country, asking anyone who was interested to participate. “We said, ‘look, work together and come up with the kind of innovative pitches that are going to change our industry and come back to us with your plans to spur growth through innovation,'” explained the minister. The government would then match the monetary investment that each company or consortium was willing to put into its project. Over 50 proposals from over 1,000 businesses across the country were received. “That’s why I’m here today in Vancouver: to announce the shortlisted supercluster applicant from beautiful British Columbia,” he said. When it comes to long-term and sustained growth in the tech industry, BC has a “strong foundation,” said the BCTA. 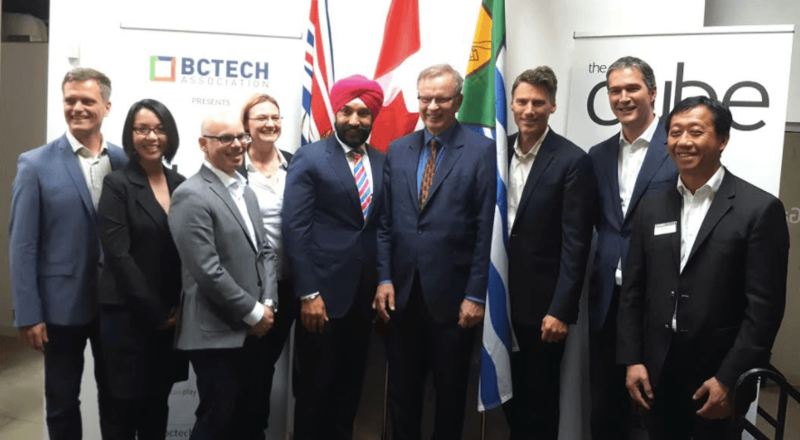 “BC is the home of leading and emerging digital economy organizations that are positioning Canada as a global innovation leader,” furthered Josh Blair, Executive VP of TELUS Health and TELUS Business Solutions West. “Since starting our company in BC, we’ve experienced tremendous growth as part of BC’s tech ecosystem and being on the forefront of innovation,” said Ryan Peterson, CEO, Finger Food. The BC government is fully on board as well. “I support the Canadian Digital Technology Supercluster consortium in its effort to position BC and Canada as a global leader in digital technology that will translate into new growth opportunities for BC companies and new jobs for British Columbians,” said Bruce Ralston, Minister of Jobs, Trade and Technology. The Cube’s workspace features a 50-desk operation open-concept office, private offices, virtual tech gear and a custom-built green room.